Thank you leaders, for all you do! This place is just for you. 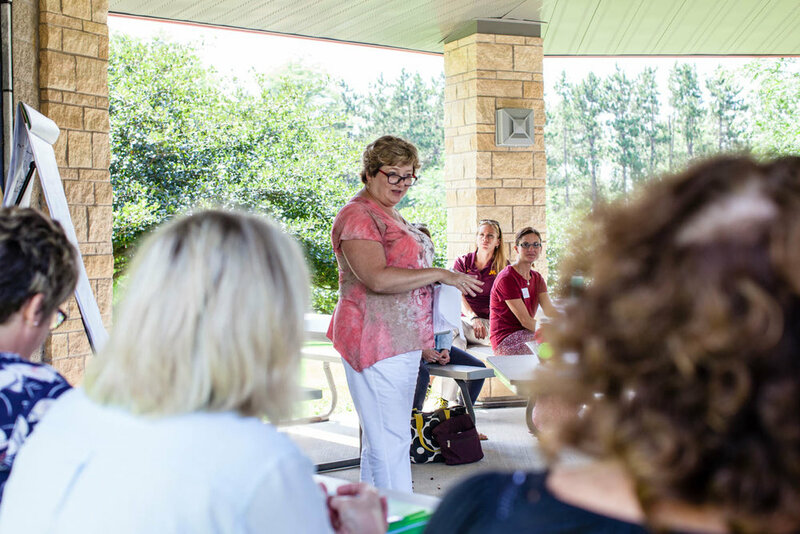 WellConnect Leaders had a great day learning, networking, and getting excited about "Wellcare" in SE MN at the 2017 Leader Retreat at Ironwood Springs! 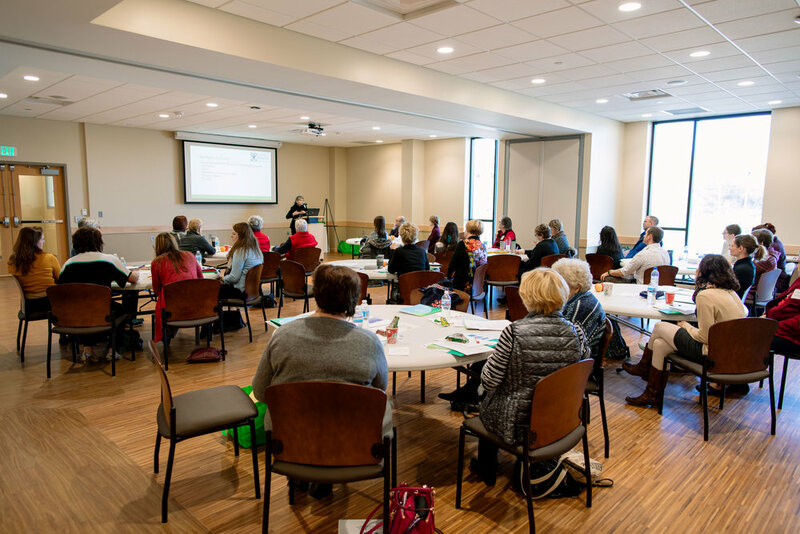 Highlights from 2016 Living Well with Chronic Conditions Southeast Minnesota Leader Retreat, and 2017 Falls Prevention Program Leader Retreat, Rochester, MN. Leaders share experiences leading the Living Well with Chronic Conditions workshop at the 2016 Leader Retreat. From left, Sue Degallier with Catholic Charities, Amy Belcher with Northfield Retirement Community, and Lynne Hemann, Community Volunteer. Community Volunteer Lynne Hemann leads a discussion on mindfulness at the 2016 Leader Retreat. 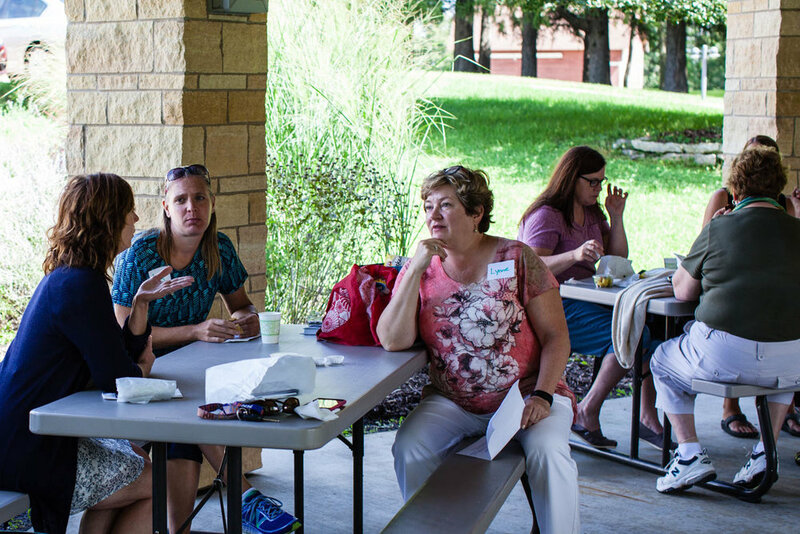 Wabasha County Public Health staff Lyn Wolf (center) and volunteer Darla Wallerich (right) lead a discussion at the 2016 Leader Retreat. Melanie Brennan with ExercisAbilities discussing integrating Falls Prevention Programs in to WellConnect. ExercisAbilities implements both the SAIL Fall Prevention Program and the Diabetes Prevention Program. Front table from left: Peg Winters, Volunteer Matter of Balance Leader with Family Service Rochester, Shirley Harper, Volunteer Matter of Balance Leader with Dodge County Faith in Action, and Sandy Tammell, Tai Ji Quan Instructor with Eternal Fitness in Fillmore County. David Anderson with Goodhue County SHIP and Kelly Owens with Olmsted Medical Center at the 2017 Fall Prevention Leader Retreat. Connie Bogard with Mayo Clinic discusses integrating fall risk assessments in the clinical setting at the 2017 Fall Prevention Leader Retreat. Fall Prevention Program Leaders practice Tai Ji Quan, led by Carol Soma, Tai Ji Quan Instructor with Senior Resources of Freeborn County. Not a leader, but interested in becoming one? Check out upcoming leader trainings or contact us by clicking the button below! Already have a leader account? 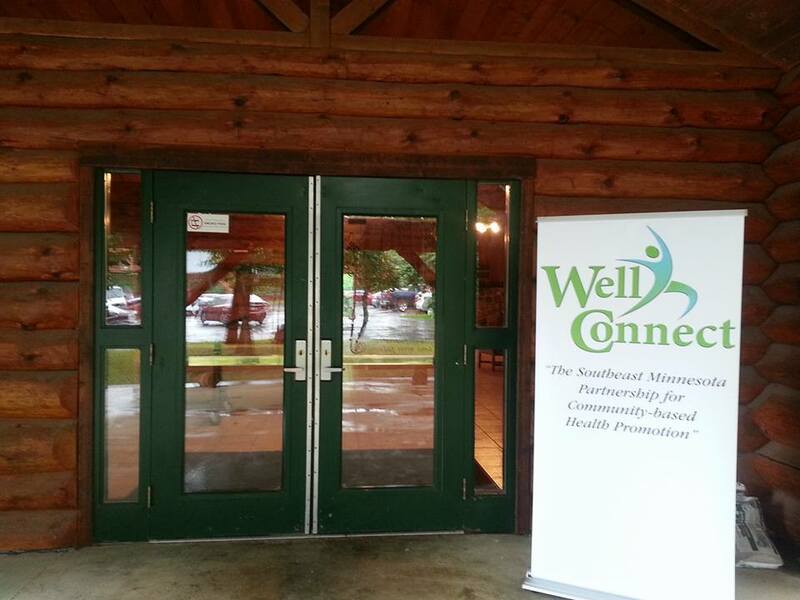 Click below to login to WellConnect Portal!